Procedures to diagnose and treat patients sometimes have unintended consequences. Overexposure to radiation during fluoroscopy use or over multiple procedures is an emerging problem as many operations that used to be done “open” (e.g., repair of abdominal aortic aneurysm (AAA)) are now done in catheterization labs or interventional radiology suites (e.g., endovascular aneurysm repair). These complex procedures, while beneficial to the patient, are often lengthy and can lead to prolonged fluoroscopic cumulative exposures even when efforts are made to protect the patient from radiation (Balter & Miller, 2014; Cousins & Sharp, 2004; Kirkwood et al., 2013; National Council on Radiation Protection and Measurements, 2010; Otterburn & Losken, 2010; Weinberg et al., 2013). Affected patients can develop skin reactions ranging from mild erythema to extensive soft tissue injury necessitating major plastic surgery. Further complicating the intensity of these injuries, most skin reactions do not occur until four weeks after the index exposure and sometimes are not fully expressed until a year after the index exposure. This can make detection and reporting of such events challenging. If a dermatologist is unaware of the radiation exposure, a punch biopsy might be attempted, which causes further damage. The Joint Commission has determined that “prolonged fluoroscopy with cumulative dose >1,500 rads to a single field, any delivery of radiotherapy to the wrong body region, or >25% above the planned radiotherapy dose” is a reviewable sentinel event (The Joint Commission, 2013, 2016). However, current methods of tracking ongoing exposure make it difficult for providers to recognize that they are surpassing safe exposure times or limits. The Veterans Health Administration (VHA), the largest integrated healthcare system in the United States, has a safety reporting system to capture adverse events and close calls, conduct analyses, and implement action plans (Bagian et al., 2001). This study summarizes a series of reported root cause analyses (RCA) on ­fluoroscopy-related tissue injury submitted from VHA facilities. It is unique in that, to our knowledge, it is the only study to report on a series of such events and with detailed information from RCA reports. This study also focuses on fluoroscopy overexposure as a patient safety problem from an interdisciplinary perspective rather than solely as a radiation safety issue. It will add to the body of knowledge by providing multiple cases along with root causes, details regarding how such errors occurred, and potential solutions. The paper will conclude with additional suggested actions based on human-factors engineering principles. The VHA National Center for Patient Safety (NCPS) facilitates a program to support sites in conducting RCAs. These analyses allow staff to examine what happened, why it happened, and how to prevent it from happening again. We searched the NCPS database starting from 2002 and, as of March 2016, found 99 cases involving fluoroscopy and skin reactions. We excluded safety reports (brief incident reports) (n = 77), aggregated reviews (n = 2), two RCAs that did not apply, and 11 cases with no skin reaction. This resulted in seven RCAs for analysis (Figure 1). We coded cases for specialty, total time of exposure, procedure type(s), root causes, and actions. We also report on the number of stand-alone fluoroscopic procedures performed in the VHA in a year to provide a reference point for the volume of such procedures. There were seven RCAs involving fluoroscopy skin reactions reported between January 2007 and February 2015: three cardiology cases, three interventional radiology cases, and one vascular surgery case. Table 1 displays the characteristics of these cases. The average time of fluoroscopic exposure was 176.4 minutes, with a range from 140 to 197 minutes. Figure 2 displays the root causes for fluoroscopy skin reactions in the seven cases. The two most common root causes were lack of a standard process to manage multiple or long fluoroscopy procedures (14.3%) and providers not being aware of the risks or side effects of fluoroscopy (14.3%). Other root causes included lengthy cases requiring fluoroscopy; poor communication among providers; no standard procedure or process for follow-up monitoring; and staff not being aware of standard policies or procedures. Other root causes included: no fluoroscopy risk on consent, confusion over which pedal to push for the fluoroscopy, positioning issues, and lack of a preference card for the surgeon. Figure 3 displays the actions developed by the RCA teams to address these root causes. Action plans for preventing these events included development of standard operating procedures (SOP) for high-risk fluoroscopy patients (22.6%), staff education (19.4%), improving the SOP for follow-up of high-dose patients (16.1%), other actions (9.7%), developing an SOP for recording the dose of radiation (9.7%), SOP to notify providers of the radiation dose during the procedure (6.5%), increased or better use of technology (6.5%), including fluoroscopy in the consent (6.5%), and discussing fluoroscopy during the timeout (7.3%). Actions in the “other” category included forming a radiation safety committee, having a radiation tech in the room, reviewing a scout film or preliminary film before the surgical procedure, warning labels, having an electronic medical record in the room, and preference cards for surgeons performing fluoroscopy. There were 158,000 stand-alone fluoroscopic procedures performed in the VHA during fiscal year 2015. During that same time period, there was one RCA report of a fluoroscopic skin reaction. Due to the nature of patient safety reporting, though, it is likely there were more cases involving some type of fluoroscopy during this time period. There were seven reported fluoroscopy skin reaction cases reported over 11 years in the VHA. The majority of cases occurred in either the cardiac catheterization lab or in interventional radiology, which is consistent with other studies (Mettler, Koenig, Wagner, & Kelsey, 2002; Rehani & Ortiz-Lopez, 2006; Weinberg et al., 2013). Several actions are suggested to prevent ­radiation-related injuries from fluoroscopy procedures. One of the first is to limit the dose by keeping the tube current as low as possible and keeping the x-ray tube at maximal distance from the patient with the image intensifier close to the patient. Training non-­radiologist providers in radiation safety, including how to keep the dose as low as possible during prolonged procedures, can be helpful. Surgeon education is effective in reducing patient radiation dose (Kirkwood et al., 2013). Developing SOPs was one of the most frequently planned actions in our review. However, stronger actions would include those based on human-factors engineering approaches, such as automated methods of warning the provider that unsafe limits are being approached. Fluoroscopy time alone is not an accurate monitor of radiation dose (National Council on Radiation Protection and Measurements, 2010). The patient should also be told during informed consent of the risks of radiation exposure during fluoroscopy and the time frame that it may occur in (Cousins & Sharp, 2004). This is particularly important if the patient has risk factors such as obesity and/or autoimmune and connective tissue diseases (Balter & Miller, 2014). The patient can be instructed to watch for signs of fluoroscopy skin reaction, since these effects will likely be delayed (Ketteler & Brown, 2011). Pre-printed consent forms that include such information may also be helpful rather than relying on the provider remembering to include it. A standardized example of patient education on radiation dosage during a fluoroscopy procedure is presented in the National Council on Radiation Protection and Measurements report (2010). The patient’s prior fluoroscopic procedures and cumulative dose of radiation should be tracked (Weinberg et al., 2013). The radiation dose should be tracked during the procedure by a specific person designated to alert the provider to the dose, and excessive dosages should be documented after the procedure, so patients and providers are aware of the risk for skin injury (Balter & Miller, 2014). One challenge is that providers may rely on human vigilance to track the dose delivered during procedures. At the same time, dose-area meters do not accurately reveal the dose at skin entry. The strongest approaches to patient safety problems are those based on human-factors engineering principles and the acceptance that, as humans, we are fallible (Reason, 2012; Siewert & Hochman, 2015). As such, systems that can automatically monitor and warn providers of unsafe doses are ideal. Such timers and monitors would help alert providers that unsafe dosages are being approached so they can plan accordingly. Coupling this with a team-oriented approach with shared responsibility for preventing excessive dosages would be a strong safety practice. The team will need to weigh the benefit of completing the procedure with radiation exposure. A pre-procedure briefing guided by a checklist would be helpful. Providers could share contingency plans to address a case that goes longer than expected. This work is based on a small set of self-reported adverse events with no patient identifiers or patient characteristics. The number of events reported likely under-represents true occurrence as has been reported in other work (Mettler et al., 2002). We also did not have access to medical records, including patient-specific characteristics, and were unable to comprehensively assess risk factors within the reported population. This also means that we may not have accurate doses of radiation as reported in the RCAs. Tracking and trending fluoroscopy adverse events also poses a challenge because skin reactions usually manifest over time and therefore may be misdiagnosed or missed altogether (Mettler et al., 2002). However, this case series report provides useful information about the root causes of such events, which provides a basis for recommended preventive actions. Julia Neily, RN, MS, MPH, is associate director of the VA National Center for Patient Safety in White River Junction, Vermont. Douglas E. Paull, MD, MS, FACS, FCCP, CHSE, is adjunct clinical assistant professor at Georgetown University School of Medicine and clinical learning environment review field representative for the Accreditation Council for Graduate Medical Education. Lisa Mazzia, MD, is senior clinical consultant for human-factors engineering at the VA National Center for Patient Safety. Peter D. Mills, PhD, MS, is director of the VA National Center for Patient Safety Field Office and adjunct associate professor of psychiatry at the Geisel School of Medicine at Dartmouth College in Hanover, New Hampshire. Bagian, J. P., Lee, C., Gosbee, J., DeRosier, J., Stalhandske, E., Eldridge, N., … Burkhardt, M. (2001). Developing and deploying a patient safety program in a large health care delivery system: You can’t fix what you don’t know about. Jt Comm J Qual Improv, 27(10), 522–532. Balter, S., & Miller, D. L. (2014). Patient skin reactions from interventional fluoroscopy procedures. Am J Roentgenol, 202(4), 335–342. Cousins, C., & Sharp, C. (2004). 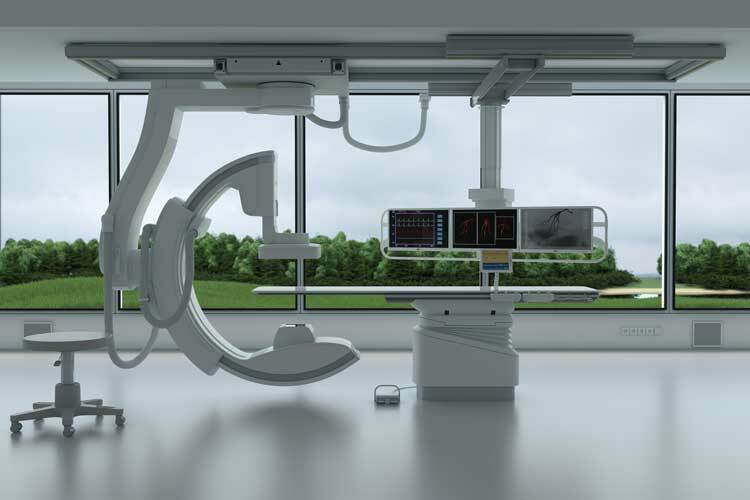 Medical interventional procedures-reducing the radiation risks. Clin Radiol, 59(6), 468–473. Ketteler, E. R., & Brown, K. R. (2011). Radiation exposure in endovascular procedures. J Vasc Surg, 53(1)(Supplement), 35S–38S. Kirkwood, M. L., Arbique, G. M., Guild, J. B., Timaran, C., Chung, J., Anderson, J. A., & Valentine, R. J. (2013). Surgeon education decreases radiation dose in complex endovascular procedures and improves patient safety. J Vasc Surg, 58(3), 715–721. Mettler, F. A. Jr., Koenig, T. R., Wagner, L. K., & Kelsey, C. A. (2002). Radiation injuries after fluoroscopic procedures. Semin Ultrasound CT MR, 23(5), 428–442. Otterburn, D., & Losken, A. (2010). Iatrogenic fluoroscopy injury to the skin. Ann Plast Surg, 65(5), 462–465. Reason, J. (2012). James Reason: Patient safety, human error, and Swiss cheese. Interview by Karolina Peltomaa and Duncan Neuhauser. Qual Manag Health Care, 21(1), 59–63. Rehani, M. M., & Ortiz-Lopez, P. (2006). Radiation effects in fluoroscopically guided cardiac interventions—keeping them under control. Int J Cardiol, 109(2), 147–151. Siewert, B., & Hochman, M. G. (2015). Improving safety through human factors engineering. Radiographics, 35(6), 1694–1705. Weinberg, B. D., Vance, A., Arbique, G. M., Guild, J. B., Anderson, J., & Chason, D. P. (2013). Evaluation of fluoroscopic cases qualifying as potential fluoroscopic sentinel events. Acad Radiol, 20(4), 457–462.